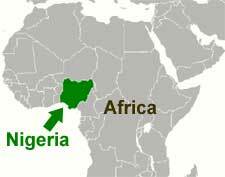 Nigeria, officially the “Republic of Nigeria” is an independent country located in the West Africa. The country has broken many milestones and is the largest African economy and the most populous African country. The country is known for National Parks, cultural diversity, landscapes and wildlife. The regions of modern Nigerian were inhabited by different Empires and Kingdoms in their respective times. Some known of these kingdoms includes “Benin Empire”, “Kingdom of Nri”, etc. Spanish and Portuguese traders were engaged in active trade with the local people as it was one of the most crucial slave markets. These slaves were either taken to Europe or the Americas. 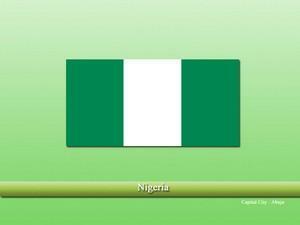 By the 19th century, Nigeria became a British colony and remained till its independence till 1960. The other African Nations that border Nigeria are Benin towards the West, Chad towards the Northeast, Niger towards the North, and Cameroon towards the Southeast. The country is blessed with outstanding geographical features that include forests, hills, plateaus, rivers and much more. Recent developments, population increase, and industrialization has damaged the environment of the country and needs serious reforms. The economy of Nigeria is best and largest in the whole African continent and is highly diversified. Services, agriculture, oil, mining, etc. are the major contributing sectors. Some of the major agricultural products include soybeans, rice, oil, yams, etc. In addition, there are rich deposits of oil and minerals. Although the oil resources are being consumed, minerals are not exploited yet. English is the official language of the country and besides English, there are over 521 languages being spoken in the country. Moreover, there are approx. 250 ethnic groups in the country. This shows how diverse Nigeria is. Islam and Christianity are the dominant religions in the country and account for 50% and 40% respectively. (approx. 2016 census). Which direction is good for house as per Vastu? Vastu tips for wealth and happiness? Vastu remedies for northeast staircase?